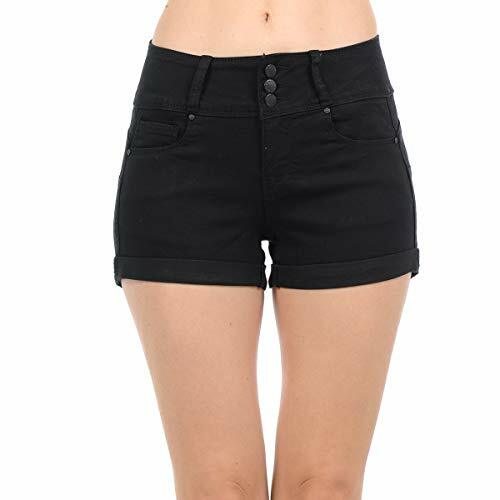 Designed in Los Angeles, California these are junior size mid rise denim shorts. They feature a classic 5 pocket design with a 3 button and zip fly closure. Cuffed at the bottom and stretchy for comfort and mobility. Designed to be able to shape your rear. Junior Sizing | Small Length: 10.5", Small Inseam: 2.5", Small Waist: 26" | Medium Length: 11", Medium Inseam: 3", Medium Waist: 28" | Large Length: 11.5", Large Inseam: 3", Large Waist: 30"
If you have any questions about this product by NioBe Clothing, contact us by completing and submitting the form below. If you are looking for a specif part number, please include it with your message.